Colin was born in Milngavie, Glasgow in 1958 and is a landscape photographer. He takes panoramic landscape photographs of Scotland and around the world. He uses the 617 panoramic format extensively in his work. His proximity to the Scottish Highlands shaped his passion for the outdoors and fostered his interest in photography. His photographs capture sublime moments of light and land, which are the result of meticulous planning and preparation and often take years to achieve. He is a photographer who seeks out patterns in the landscape and the hidden links between reality and the imagination. Commissioned by British Airways for four years, he has travelled to over forty countries throughout the world and lived alone for extended periods of time in the wild just to understand his subject. Colin currently lives in Glasgow where he runs his own publishing business and work on a variety of corporate commissions. Over the past six years he has shared his knowledge through a series of photographic workshops both in Scotland and overseas. He is a Fellow of the Royal Photographic Society and a founding member of the International League of Conservation Photographers. Brought up and educated in Scotland, Charles is a corporate environmental consultant. After working in London for ten years in the environmental investment business, he worked as an environmental consultant providing management advice to a variety of public and private companies. He is currently a director of the Sustainable Inshore Fisheries Trust, a Scottish charity dedicated to promoting the well-being of Scotland’s coastal waters and the communities that depend upon them, which he co-founded in 2011. He is also a former member of the Environmental Advisory Council of the British Standards Institution. John studied history at Cambridge and economics at Bristol University. His long-standing interest in the environment and rural life took him from an early career in HM Treasury to senior posts in the Planning Inspectorate of the Department of the Environment and the Countryside Commission (England & Wales). After a spell as Head of the Town & Country Planning Policy Division in the then Scottish Office, he spent almost twenty years as a Director in Scottish Natural Heritage, leading its work in the fields of landscape, land and freshwater use, and planning and development. For much of this time he also led on recreation and access issues and oversaw SNH’s operations in the west of Scotland. He was for several years chair of the UK Countryside Recreation Network and the UK environmental agencies’ Land Use Policy Group. He also served as a Council member of Europarc, the Europe-wide network of National and Nature Parks. He is a trustee for the Galloway and Southern Ayrshire Biosphere Reserve and the Galloway National Park Association. He is also Hon.Sec. (and a trustee) of the Scottish Campaign for National Parks. He and his wife also run a small farm near Kirkcudbright, breeding and rearing black Galloway cattle. John is a Fellow of the Royal Society of Arts. Mike was born in Inverness and lived near the family estate there until his mid-teens. He studied Law at Aberdeen University and has spent all of his solicitor career in Edinburgh – with Brodies until 1997 and since then with Gillespie Macandrew. 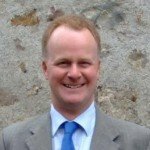 His focus has been on rural matters in all their various aspects, particularly crofting law and agricultural law, in the latter as an accredited specialist. He chairs the Law Society of Scotland’s Rural Affairs Committee. Mike lives in Fife and away from work he is a senior motorsport administrator and enjoys gardening and stalking. Originally from New York City, Karol has lived in Scotland for 36 years and is passionate about countryside issues. She holds an MSc (Distinction) in Urban and Regional Planning from Heriot Watt University and is a trained and experienced facilitator and mediator. Karol has extensive experience working in the voluntary sector and on a range of environmental projects throughout Scotland. She is a well-kent face among the planning profession and has worked with planning departments in all of the local authority areas. Rebecca is a Chartered Landscape Architect who has worked as a landscape and environmental consultant and botanist across the UK and abroad. She spent 14 years as Head of Landscape and Restoration at Scottish Natural Heritage, leading its national landscape team and landscape character assessment programme. She acted as landscape expert witness for various public inquiries, including the proposed Harris superquarry. She graduated from Durham University in Botany and Geography and from Newcastle University in Landscape Design. She worked for The National Trust in Northumberland, the Lake District National Park and the Nature Conservancy Council, then set up a landscape consultancy, forestry and furniture making business in the Borders. She spent five years as Senior Lecturer in Environmental Design at Newcastle University. 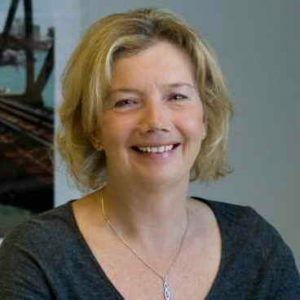 She has developed landscape and visual impact assessment methodology for various developments including the renewable energy industry, and has recently worked on biodiversity management planning and landscape restoration both in the UK and New Zealand. She is currently a part-time Policy Officer with the Scottish Branch of the Landscape Institute. Duncan’s early childhood was spent abroad in Burma and South Africa. He completed his education in Britain at Edinburgh University and later at Newcastle University. He is a Chartered Forester and a Chartered Landscape Architect (now retired in both disciplines). After National Army Service, spent mainly in Germany, he joined the Forestry Commission (FC) in 1960 as a Forest District Officer, managing national forests in several scenic parts of England. 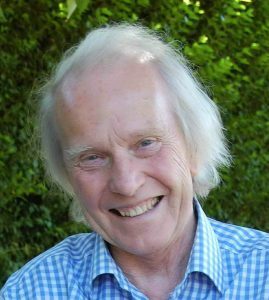 With his Landscape Architect qualification, Duncan became the FC’s first Forester/Landscape Architect and assisted Dame Sylvia Crowe, the FC’s eminent Landscape Consultant, with a brief to improve the design of national forestry activities throughout Britain. Duncan eventually became the FC’s Head of Design and Environmental Policy. He joined the Countryside Commission for Scotland (CCS) as Director in 1988 and later transferred to the senior management team of Scottish Natural Heritage (SNH), when the government merged CCS with the Nature Conservancy for Scotland (NCCS) in 1992. On retirement, Duncan has continued working in the environmental field, as a Director, Trustee and member of a number of Charities. 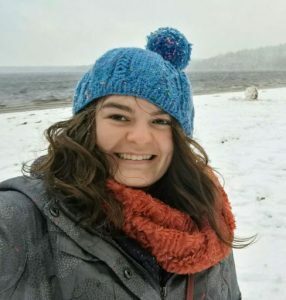 Catherine was brought up in Forres along the beautiful Moray coast before heading to Aberdeen to study Marine and Coastal Resource Management at Aberdeen University. Since then she has worked with young people as a field studies instructor in Dorset and a visitor services supervisor at an aquarium. She is currently the Scotland Conservation Officer for the Marine Conservation Society based out of Edinburgh with plenty of time spent on many of Scotland’s beautiful beaches. When not at the coast Catherines favourite spot is the shores of Loch Morlich in the heart of the Cairngorms National Park. John is a Chartered Town Planner, landscape manager and geographer. As well as APRS Director he is an environmental policy and planning consultant. Brought up in Birmingham, he has spent his entire professional life in Scotland. Before moving to APRS he spent 23 years working for the National Trust for Scotland, latterly as Head of Policy and Planning, and chaired Scottish Environment LINK 2006-09. He lives in Edinburgh with his wife and two sons, and enjoys cycling, telemark skiing, hillwalking and playing the piano. Helping John Mayhew are Nina Sobecka & Eleanor Young. Nina works part time and does all the administration including keeping the membership details up to date. Eleanor is a volunteer and maintains the website as well as helping out with administrative tasks.